Did he know something we didn't? 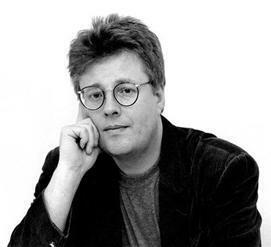 NEW YORK, NY—A bidding war has begun over a new manuscript discovery that the estate of late author Stieg Larsson announced last Monday. MacLehose Press, the publishing company responsible for the English version of Larsson’s popular Millenium Trilogy (The Girl with the Dragon Tattoo, The Girl Who Played with Fire, and The Girl Who Kicked the Hornet’s Nest) was thought to have the inside track on buying the rights to the manuscript. Since both MacLehose Press and Norstedts Förlag are out of the running, both being owned by the Quercus Company, other publishers and movie studios have been offering millions of dollars to secure the rights to the manuscript, which throws the Millenium Trilogy for a meta-referential loop. En flicka som såg alla behandlingen av samma Förbannar böcker, which translates to English as The Girl Who Saw Everyone Reading The Same Damn Books, follows protagonist Lisbeth Salander to New York City, where she becomes obsessed with riding the subway. Soon she notices a trend of people reading the same three books written by a recently deceased Swedish author. When she decides to see what the books are about, she realizes that the stories are about the tumultuous life she left behind in Stockholm. Further details of the fourth installment’s plot have yet to be disclosed, but it is unlikely that you will find it in Barnes & Noble any time soon. A free download, on the other hand, is a whole different story.